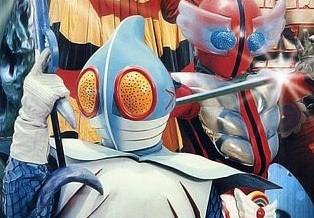 Live-action superhero show created by Shotaro Ishinomori in 1976. The single series aired on television from July 1977 to 29 March 1977. Nesbitt, J. and M. Nesbitt. The Definitive Science Fiction Television Encyclopedia, 5th ed. Universal Press Ltd, 2007.